I jokingly told my readers to go ahead and win $1,000 while they were entering the Tree Top Sweepstakes (now expired) to print a coupon. Well, one of my readers did just that and is getting her $1,000 prize in the form of a Target Gift Card. Talk about an unexpectedly positive result when going to print a coupon! “I found the Sweepstakes links on Freebies 4 Mom, and loved the instant win games. So, I started playing each night after my kids went to bed. My husband gave me a hard time about a week after I started, because I was missing out on sleep to do it. I would play whenever I got both kids to sleep, anywhere from 9pm to 1am (PST, I live in California). One weekend, my parent were over, and my husband told me to skip the sweeps, but I had been tying SO hard to win a free jar of pace. People were winning them like crazy, and I couldn’t get even 1. So, I played the Pace one, did not win, yet again. 2 night before I had found the Tree Top pick your prize instant win, and added it to my nightly list. It was my last one of the night. I got 3 like symbols in a row. After staring at it for a few minutes, I asked my husband to “Come look at this for a minute”. I could not believe what it was telling me. When I saw the 3 symbols, I thought maybe I had one a free bottle of juice, so the message saying I won a $1000 target gift card caught me completely off guard. Once my husband confirmed that I had read correctly, I ran upstairs and woke my mom & 3 year old daughter, I was so excited. I then went on to text everyone I knew that wouldn’t kill me for texting at 11:30 at night. I still can hardly believe it!!! But now my husband never rushes me off to bed when I want to play the sweeps. Have you won a big prize (or a bunch of little prizes) thanks to Freebies 4 Mom? Please share your story by leaving a comment here and I may feature it as the next “Sweeps Success Story”! I just won the Little Big Planet game for the PS3 on the Subway sweeps. I won with my free turn and it was my first time playing. Oh, yeah for you Odessa 😀 ! And keep it up, Sweetie. I keep telling myself, my time will come….. I play the Sobe Heads or Tails instant sweeps every day, and have one a track jacket and two pairs of flip flops. I mostly win BOGO coupons. I was getting a little frustrated with all the coupons, until CVS put Sobe on sale this week for BOGO! I just used my coupons and got 34 Sobe LifeWaters for $2.37 (that was the tax)!!!! This came at a great time, since my 17 members of my family are going on vacation to a lake house next week! Heather, I was out on maternity leave after having my first baby last winter when I got a check in the mail for $500 from Huggies Enjoy the Ride Sweepstakes. My husband had been laid off, I was on unpaid maternity leave and we sure needed that check. There is a little more to the story, but I really reaped a great reward for following your link to that site! I love playing the sweeps. I won a $25 gc to Bed, Bath and Beyond the other day!!! I have won $30 so far in the Huggies instant wins. It’s so exciting when you win. I am sooooooo very happy for you!!! I have won 4 jars of Pace Salsa, $25 to Barnes and Nobles from Huggies Rewards, and $25 Discover card from M&M’s (still have yet to receive it). My sister just won one of the $100 Office Depot cards last week! Congratulations to Odessa! Definetely an encouragement to keep playing! 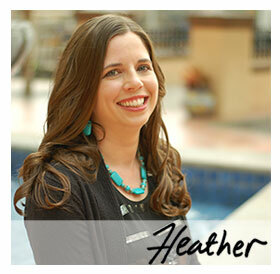 Heather, I wanted to share with you that I had been playing the Sobe lifewater sweeps since I first saw it on your site. I kept getting BOGO coupons and thought those were nice in themselves, but, after awhile i was like what am I gonna do with all these 🙂 Well, NEVER GIVE UP!! Sunday morning around 9am I played and won the Macbook Pro – valued at $1,199.00!!! SOOOOO Excited!! Thanks for all you do!! Way 2 go! That’s awesome, what a blessing!